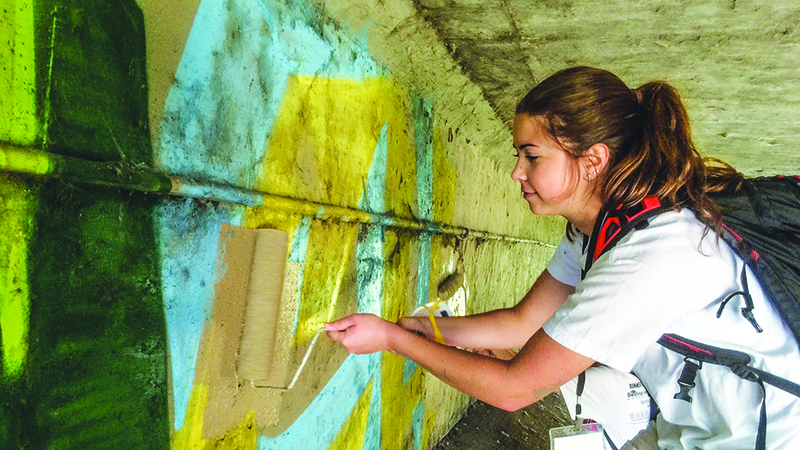 Painting for Jesus (reporting from Wichita, Kan.): At work camps across the nation, teens put their faith into action. A dozen congregations in Arkansas, Kansas and Oklahoma sent youth groups to Wichita. Teams came, too, from Oklahoma Christian University in Oklahoma City and York College in Nebraska. This story appears in the July 2015 print edition of The Christian Chronicle. Prev #DUH — You think there might be a religion angle on that debate over the Confederate flag?